"Quit monkeying around! It's time to put on your pajamas and get ready for bed." Is that a phrase that you've ever used in parenthood? How about we flip the script! "Hey it's time to start monkeying around! Let's get your pj's on and get you ready for bed!" We're sure you'll be able to convince them that bedtime won't be that bad when you get them these super sweet monkey Kigurumi set! And it will be the first time in your parenting career that you actually encourage your little one to "monkey around." Because these pajamas double as a sweet costume! Long story short, now they're a major hit worldwide as both a costume and as pajamas. 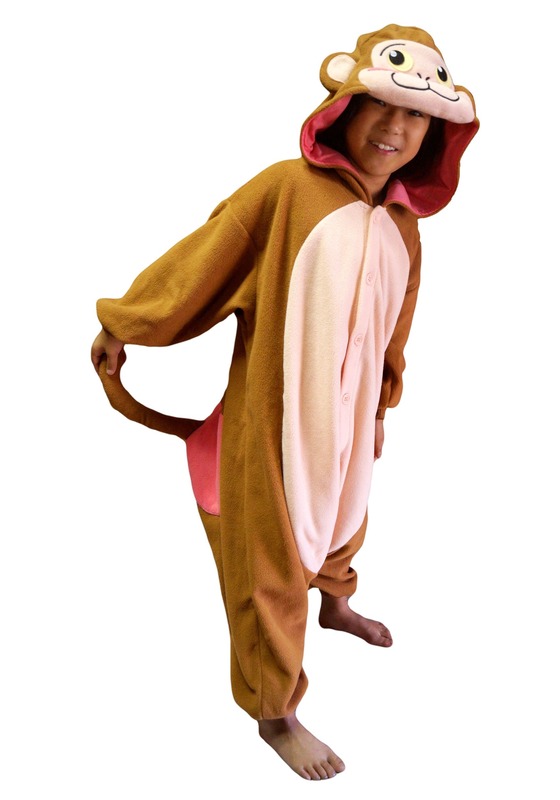 This monkey Kigurumi for kids has an adorable style that any little kiddo will love. The Monkey face on the hood has a big little smile, and pink trim and a tail will make them look like a wild animal! 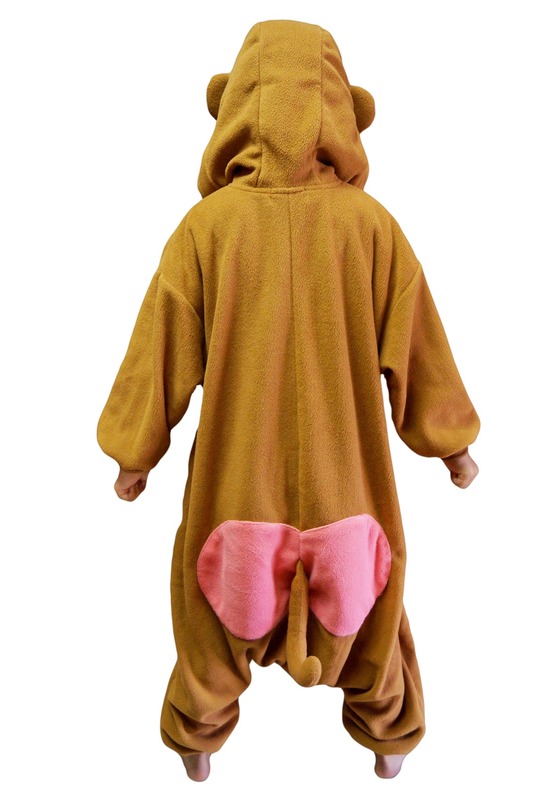 This Kigurumi set is made of 100 percent polyester fleece, so it's a super soft and comfortable selection, for both snoozing and for costuming around. With a soft-sculpted face and button-up design, we're sure this set is going to become one of their favorites.